The Serenebe Playhouse has designed a unique set for a musical version of the Titanic story. Set in a lake in the hills of Georgia, the story of the people on the Titanic comes alive in a very different way. This video reveals the planning behind the creation of this unique musical presentation. 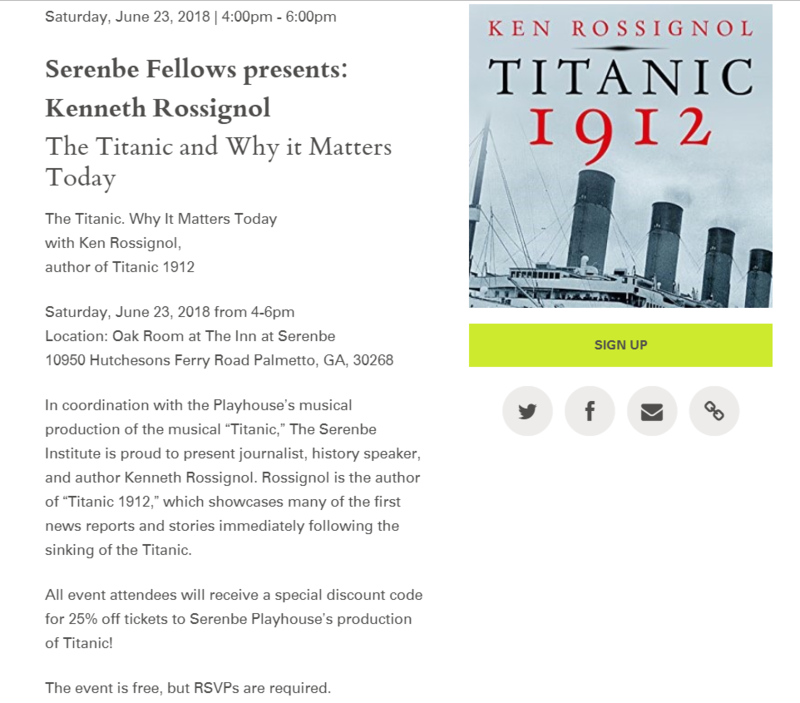 This entry was posted in Heroes of the Titanic, Titanic controversies, Titanic Musical, Titanic Speakers and tagged Serenbe Playhouse, Sinking Titanic musical, Titanic on July 15, 2018 by kenrossignol.